Do you have the hands of a thunder god? 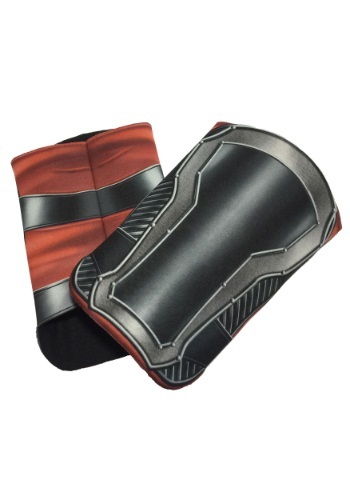 Why not treat them like the hands of a thunder god with these Thor gauntlets from Avengers: Age of Ultron? They're designed to look like the ones worn by Chris Hemsworth in the movie. You'll have the golden locks of a Norse god with this wig. Use it to complete your Thor costume, or if you're feeling particularly bold, create a new legendary figure to team up with the Avengers. Sure, Thor might be a little jealous with another hero as good looking as yourself, but as long as you keep beating up the bad guys, you'll have earned your spot on the squad! By the power of Thor... You'll have the mightiest power in Asgard with this helmet. It will not only give you his classic comic look, but it will protect your noggin in battle! Lifting Mjolnir is a lot harder than it looks. We wanted to wield the power of the thunder god, but apparently we weren't worthy. 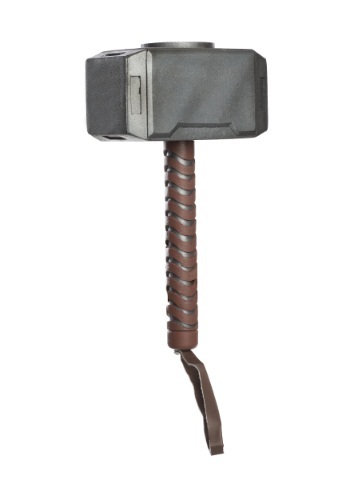 It's okay though, since Nerf made this Age of Ultron Thor Battle Hammer, so we can practice until we are! It's made of form, so it greatly reduces the chance of injuring ourselves while practice our sweet Avengers-style hammer moves. If you're ready to practice your superhero moves too, then you might want to give this handy toy weapon a try. Thor has left Asgard to focus on Earth for a while, and he has to help the Avengers defeat their greatest foe yet! When your child wears this Child Avengers 2 Deluxe Thor Costume, he can replay scenes from earlier Thor movies, and from the new Age of Ultron. It's a little known fact that great hair is a major robot repellent. Thor found this out the easy way. He already had his beautiful Asgardian locks and when he met Ultron for the first time, Ultron just couldn't resist the shine and gleam Thor's hair was radiating. Sorry if we spoiled the climax of Avengers: Age of Ultron just now... but yep, Thor's hair saves the day. 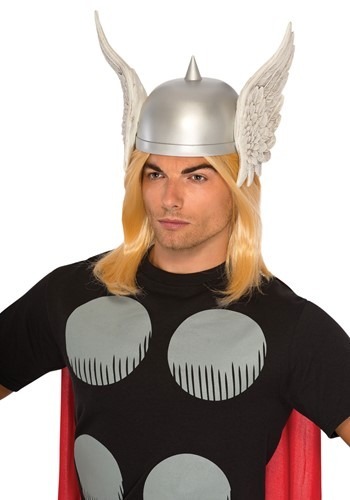 We're guessing you don't have long luscious hair like the God of Thunder so you'll need this wig. That's right, you too can save the day! Those robots don't stand a chance. Don't let anyone tell you that you can't be a god. While it may sound daunting, a lot of paperwork to fill out, renew your social security, that sort of thing... it's actually much simpler. 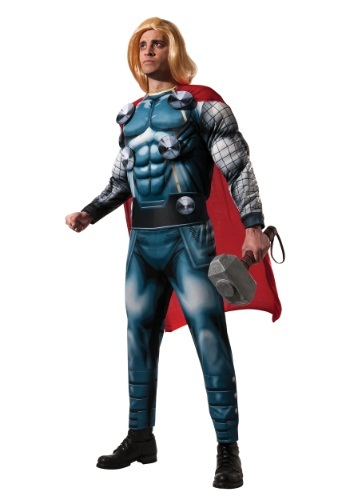 All you need is this Child Thor Avengers 2 Costume! You can look just like the God of Thunder from Norse mythology and Marvel's greatest cinematic achievement Age of Ultron. Now, we can't promise you'll be able to do any of the things he does in the film (who has that kind of FX budget these days??) but you'll look great, and Ultron, should you find him, will cower at the sight of you. If your child dreams of riding the Bifrost from Earth to Asgard, outfit him just like Thor. That way he'll be able to battle whatever foes he encounters! 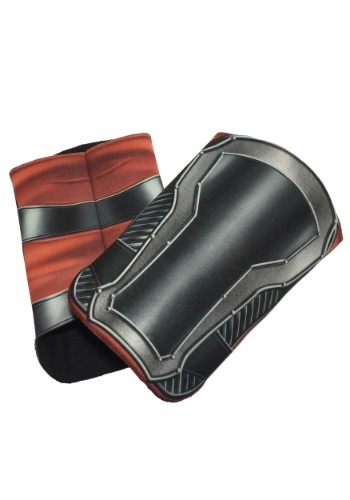 Equip him with this costume wrist guards, and he'll have a look just like Thor from the Age of Ultron. He has big shoes to fill, but we think your child is up to the task! Did you know that Thor's Helmet is also a nebula of light out in space? It's pretty cool, but unfortunately we can't sell you a nebula. We can, however, sell you a different type of Thor's Helmet. 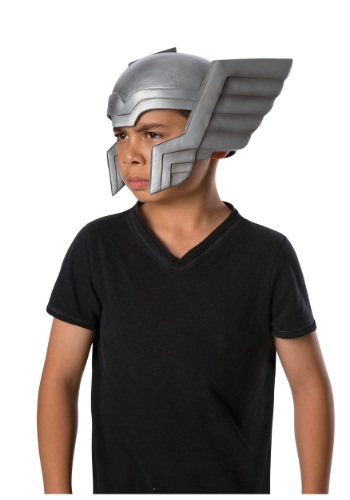 This Child Thor Helmet will make you look like one of the Avengers. Take on your role as the crowned prince of Asgard! When your kid needs long Norse-God-style hair, he needs this Child Thor Wig! It's officially licensed from the Avengers Assemble series. He'll be all set to defend Asgard--and Earth--from evil. Okay, so Thor's hammer has a pretty sweet name. Mjölnir. We still haven't figured out how to pronounce it, so we're still calling it his hammer. Because who cares what it's called when he's busting up Loki, Ultron, or any other baddie who dares to cross his path! You can wield the power of Thor with this licensed accessory. Sure, it's just a replica so it won't help you fly, but we're guessing the women of Earth will be very impressed with your Asgardian swagger when you show it off. Do you hate your brother sometimes? Loki REALLY hates his brother. He's tried conquering the Earth a few times, but his brother always gets in the way. He's also gone so far as to trick Hulk and Thor into doing battle with each other. We're not suggesting that you scheme against your brother like the Marvel villain, but you might not be able to help yourself when you wear a hoodie imbued with the trickster god's likeness. We're going to level with you: no matter how hard you spin this hammer, it isn't going to give you the power of flight. It won't help you bash bad guys, stop your evil brother, or battle aliens from another dimension. It will be the perfect complement to your Thor costume though! But if you run into a Loki just don't try bopping him over the head with it. It's hard plastic and it hurts! Finally there's a way to combat all of the enemies of Asgard without having to be a true descendant of Odin. Just suit your little warrior up in this Thor dress up box set! With faux muscle effects, he'll feel like a strong and powerful hero, even if his muscles are still growing. Give him a magical hammer and he'll be able to take on whatever villains dare to cross him! Asgard has some unique fashion choices... If you were to compare it to earth, you would see some pretty big differences. When was the last time capes were fashionable? Plate armor? War hammers and swords? We haven't seen the like in at least five hundred years! That's why they made this handy Thor Nordic Armor Costume T-Shirt. It brings Asgardian fashion to you, but printed conveniently on a t-shirt, which people actually like to wear here on Earth. Excelsior! Does your son dream of having the power to wield Mjollnir? Then get him this Toddler Thor Fleece Jumpsuit and let him play. It's soft and comfy, and just the thing to spark his imagination. It's great alone, or as part of an Avengers group.